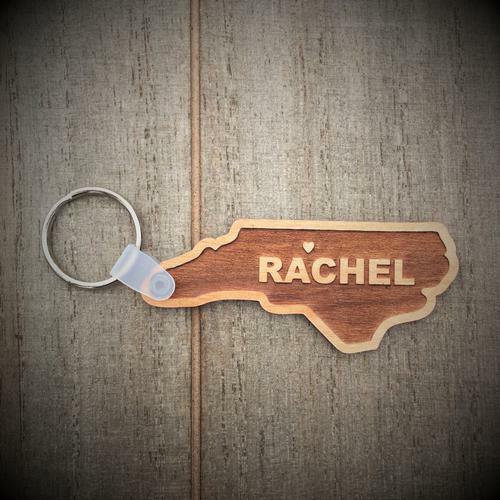 Beaturifully Laser etched wooden North Carolina Key Ring. We can make this item especially for you with any name. We can also add the heart in a location on the state of your choosing. Please be advised that if you live on the eatreme coast or in the Mountains near the edge of the key ring,the heart will be etched slighly inland. Add the name you want to have etched on the key ring.